Antioxidants are extremely important for couples that are trying to conceive. Cells within the body, and more specifically the reproductive system, are constantly being attacked by free radicals. Free radicals are created from toxins, stress, pesticides, illness, over-exercising, too much sun… and the list goes on. The important thing to know is that free radicals can damage cells and the DNA within cells. This can impact fertility on many levels. It may impact the health and integrity of the egg (ova), the sperm, the cells of the uterus, ovaries, thyroid, pituitary, etc. In turn this may cause the reproductive system to not function properly. Antioxidants on the other hand help to protect the body from free radicals by “deactivating” the free radicals so they can no longer do harm. Now, something important to understand is that there are many different types of antioxidants that protect different areas of the cells. So, a wide variety of antioxidants are needed on a daily basis. Through eating a diverse array of whole foods, the body is able to receive an abundance of antioxidants. Drinking a smoothie a day makes this easy to do. In one smoothie you are able to include a huge variety of antioxidants in their most absorbable form. I invite you to join us and participate by drinking a Fertility Smoothie every day for 10 days. Enter your name and email address in the form above and I will email you a smoothie recipe every day for 10 days plus additional helpful tips on making delicious fertility smoothies. There are many minerals and vitamins that are necessary for healthy fertility and a balanced cycle. Zinc, calcium, selenium, vitamin E, A, C and D, folic acid, iron, and many more nutrients play a vital role in supporting your monthly menstrual cycle and ovulation. A deficiency of these nutrients can impact your fertility. A diet rich in a wide range of whole foods can help to supply you with all of these vital nutrients. Smoothies make it easy to get a wide range of whole foods in a convenient and tasty form. In addition, since smoothies are liquid, the nutrients are easier to absorb during digestion. Fiber is an essential part of every healthy diet and is essential for healthy hormonal balance. Fiber has many actions in the body, but specifically for fertility, fiber helps the body to get rid of excess hormones. It works like a broom helping to clear excess hormones out of the body. Fiber is also important for helping to move foods through the digestive process and keeping blood sugar levels balanced. Balanced blood sugar levels are important for everyone’s fertility, not just women with PCOS. When the blood sugar levels spike repeatedly on a daily basis the body reacts to this like an emergency and goes into the adrenal glands’ fight or flight response. This pattern occurring repeatedly can cause hormonal imbalance due to the stress of hormones being released constantly. This in turn can create issues with ovulation, the uterine lining, menstruation and sperm health. The foods that are used in smoothies are naturally rich in fiber. Fertility superfoods are amazing. 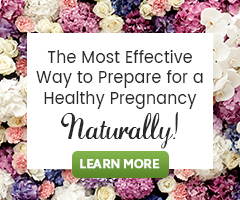 They make it easy to get a large amount of nutrients and fertility tonics all-in-one. Superfoods are foods that are nutrient-dense, supplying a ton of nutrition in a small package. Some fertility superfoods can also specifically nourish the endocrine system or promote egg health. By adding superfoods to your smoothies, you are able to take your nutrition and health to the next level, again in an easy to drink form. Fertility smoothies provide every one of these components in the highest quality possible, with the least amount of effort. Wondering How to Make Fertility Smoothies? In my eBook ‘Fertility Smoothies: Elixirs for Optimal Fertility’ I share with you how to create a wide variety of delicious superfood smoothies to help boost your fertility naturally. Fertility smoothies are a great way to boost your fertility naturally… They are easy to make. They are fast to create. They taste great. 5 Steps To Decreasing the Chance of Recurrent Miscarriages. Are fertility smoothies safe to drink while pregnant? I purchased the smoothie kit and used it. I am now pregnant but wondering if I am still able to drink them. Thanks. Congratulations! What great news. The FertiliWhey Protein Powder in any fruit/veggies smoothie is fine to continue. Active Bee Power, Fertilica Maca and FertiliGreens are not suggested in pregnancy. A pure Spirulina powder can be used in place of FertiliGreens.